WATCH: Meet A High School Anti-Abortion Activist … from the Bay Area! This video is part of “Stepping Up,” a short video series featuring four impressive young people working for real change in their communities and explaining what sparked them to action. Watch all four videos here. Veronica F. is clearly not afraid to go against the grain. The 16-year-old high school student from Walnut Creek is a vocal anti-abortion activist in a politically liberal and overwhelmingly pro-choice community. But, as Veronica explains in the video above, the issue is just too important to worry about ruffling feathers. 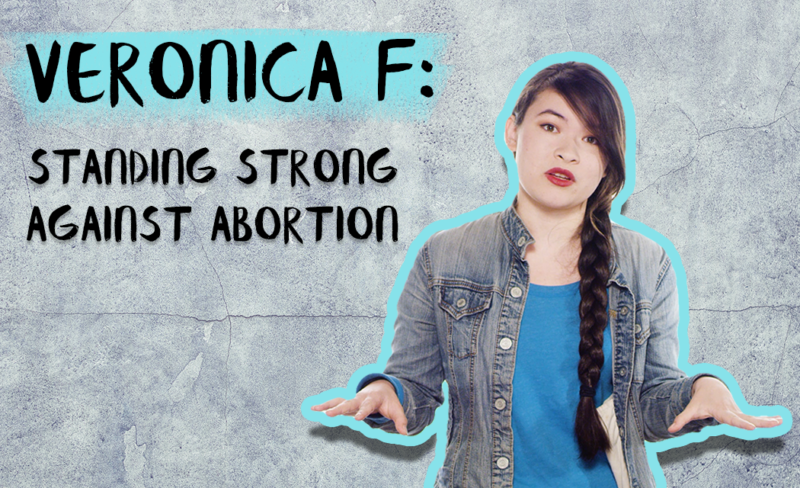 Veronica’s activism began several when she saw her first video of an aborted baby. She soon started her own pro-life group and became a local youth leader in the pro-life movement. Representing the unpopular position is definitely not always easy, she admits. For Veronica, activism means standing up for what you believe even when it’s not convenient, and engaging with people you don’t necessarily see eye-to-eye with. To find Veronica and the three other students in our Stepping Up series, we searched across the Bay Area for a diverse array of young activists representing different cities and different perspectives who had inspiring stories. AND we want to hear from you! Let us know if you have a story to share. Are you a young person who’s passionate about a social or political issue and taken action? Or do you know some who fits that description? Submit your video, audio or written piece to KQED Education’s Fall Youth Media Challenge. Go here for submission guidelines.